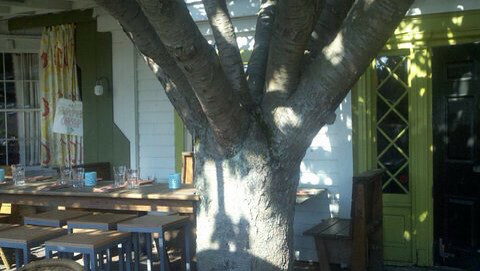 Because I’ve never been to Mexico, I imagine finding a restaurant housed in an old building and perhaps with an outside dining area where you’d sit among the trees while sipping on a margarita. I also envision the food would be top notch and that I’d realize long before the first bite that I was in store for something special. 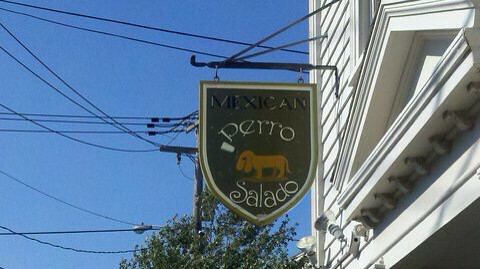 We have found such a place in Newport, Rhode Island at Perro Salado. 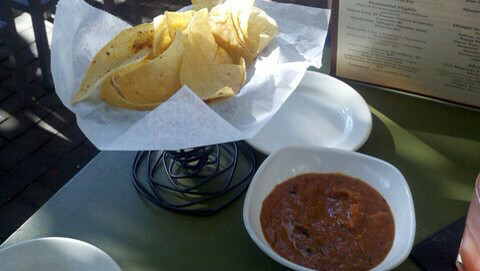 Located on a side street in the middle of town sits a 300 year old house that is home to the restaurant. They seem to have found the perfect location for this road trip. So let's not waste any time and get right to the food. 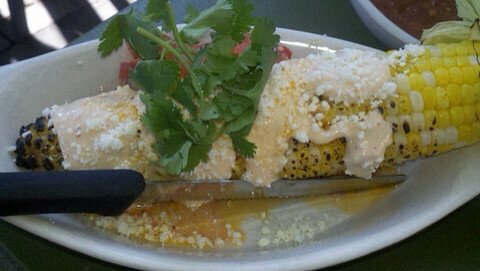 This is the grilled corn with chipotle mayo., amazing! 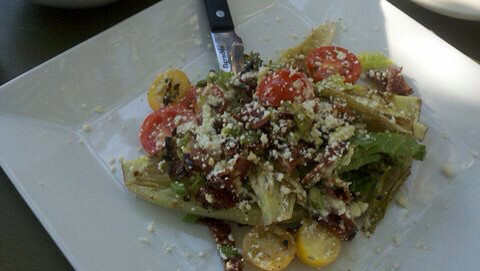 Next we decided to share the grilled Caesar salad. 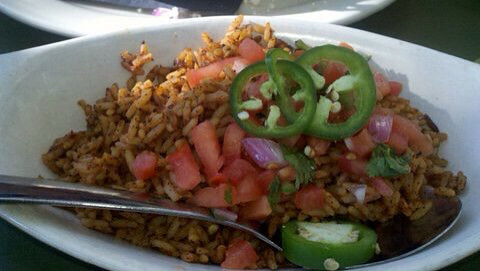 Having discovered grilled salad several years ago, we tend to order it any chance we can and this version did not disappoint. 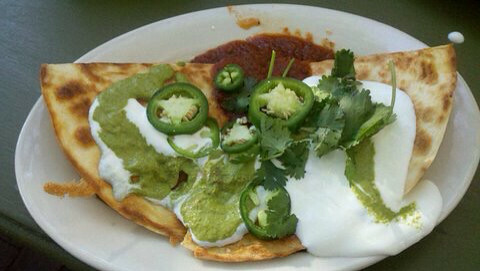 This quesadilla was filled with chicken tinga. and rice on the side. Whoever does the upkeep on the outside dining area should be commended. 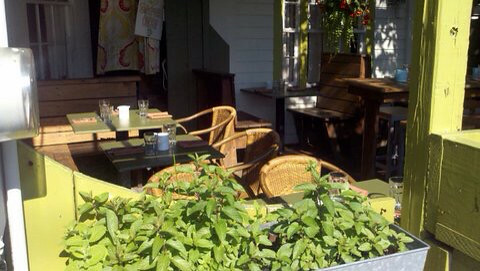 They have done a magnificent job combining green colors from the lighter tables with the lush plants throughout. You will also find in the middle of all this a large tree in the center that caps off a wonderful outdoor experience. When you see this sign you have reached your destination. Looking for something to do in the area. There are plenty of cute shops in downtown Newport to keep any shopaholic busy. 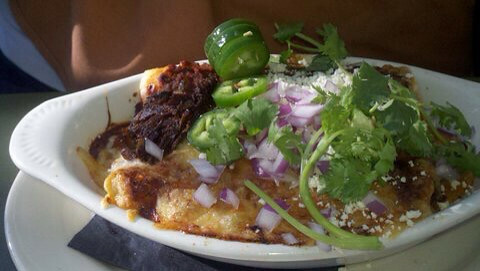 Want to know how far it is from you to Perro Salado? Click on the map below to find out.